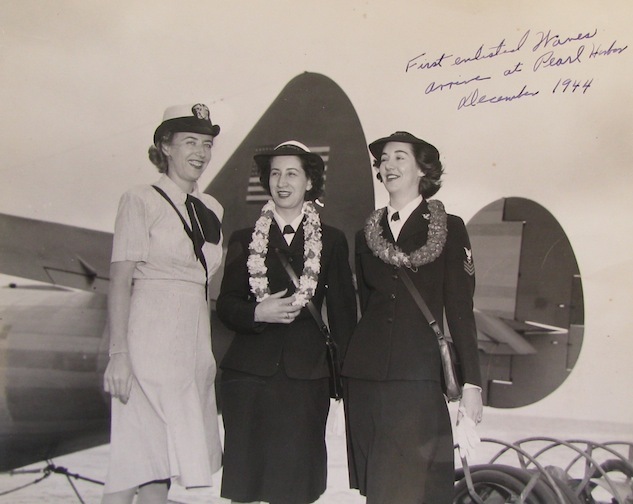 Joy Bright Hancock (left) would be one of the first WAVES in Hawaii, arriving in December 1944. This was the first time WAVES would be based overseas. The photo comes from the Schlesinger Library at the Radcliffe Institute for Advanced Study, Harvard University.